Touring California’s top wine-producing districts—here, we’ll concentrate on just five of the state’s 46 wine-producing counties —in a Leisure Travel Van is a treat to the palate and the eye, from the moment you pull into a parking lot, to the anticipation of lingering over every sensation of that first sample pour, and knowing that the wine you walk out with to serve your friends back home may not be available anywhere else. The problem you may run into, however, is choice. There are more than 400 wineries in Sonoma County alone, and more than 400 in Napa too, so, where to start? How do you narrow a mind-boggling search that otherwise would leave anyone frustrated, possibly confused, and certainly parched? We’ll tell you how we did it, and will share some of our favorites. 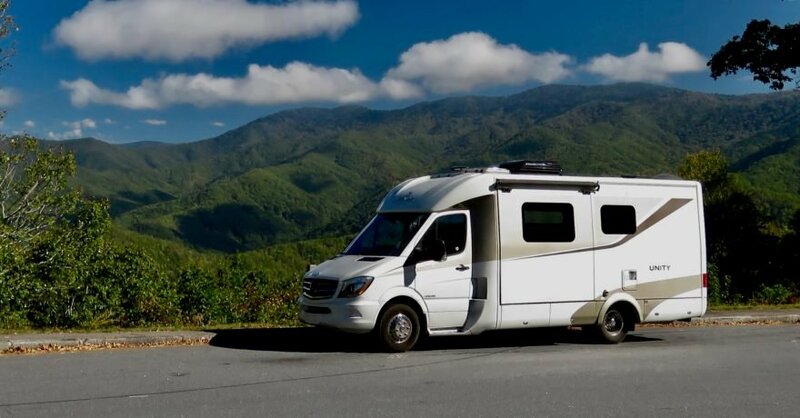 Picking a good central campground or campgrounds is the first step, and we’ve got at least four that we can highly recommend for your LTV. 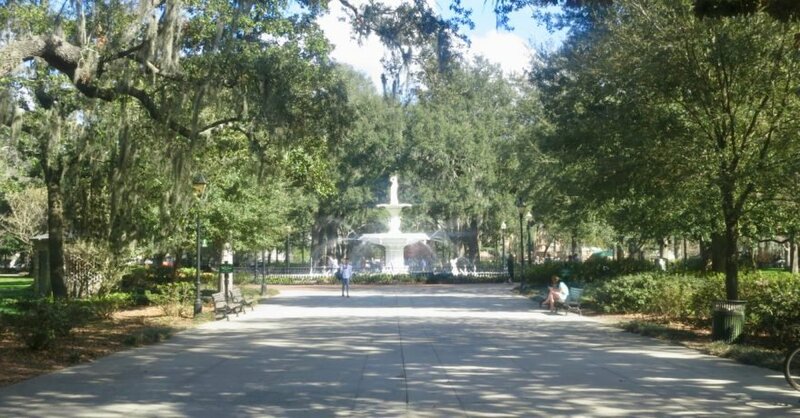 Some of these parks have bridges that an RV bigger that our Leisure Unity couldn’t go over due to weight restrictions. Others have hairpin entrance roads. There are plenty of alternatives, however. Then chose which wine regions to visit, so your ducks, campgrounds, and counties, are all in a row. Our choices: Mendocino County, then moving just to the south, Sonoma, inland to Napa, of course, and to our eastern-most location, the relatively undiscovered (read: inexpensive) but very special wineries of Amador County, and to the south, Paso Robles. Most can be easily reached off Highway 1, that famous drive that’s now re-opened all the way after the fires. We picked these because we were slightly familiar with them and wanted to get to know them and the wineries along the sometimes twisting, gnarly riverside drives a bit better. 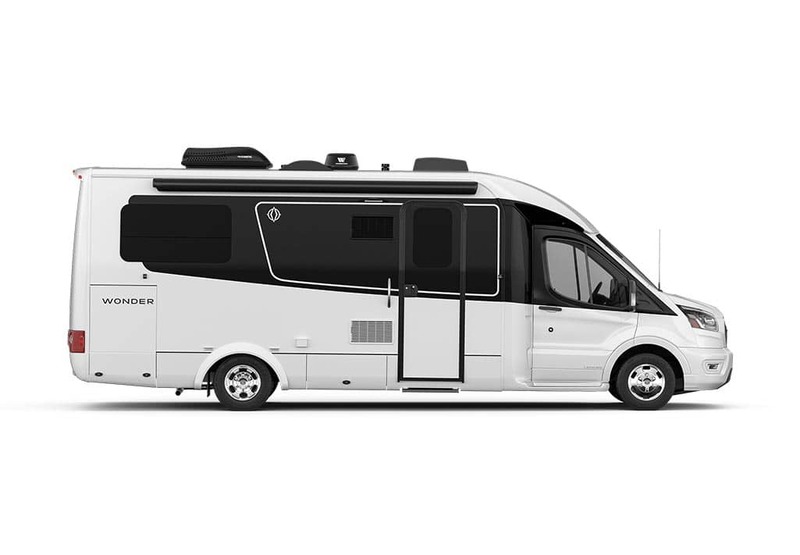 Advantage once again: Leisure Travel Vans. You may have a different area in mind, but for our money, these are the mother lode of great California wine. First, a few tips. Pick a winery by deciding what wine type you like. Even within wine types, taste varies by winery and each winemaker’s individual taste. I’ve had some petite syrahs from one winery taste good, but not remarkable, when a few miles away, I gushed over one far superior that tasted like liquid caramel, at least on my palate. If you have a friend or relative who can recommend a specific winery, and your tastes are similar, trust them and go. Above all, while all this can be pretty intimidating, don’t let it be. If you find a wine you enjoy, then do it, and let the bottles—and recommenders, be it a best friend, or those now-ubiquitous points ratings—fall where they may. That tip also can apply to campgrounds. Some of you may like boondocking with the bare necessities, with your solar panels pumping out juice. Some like to be pampered. N. California scenery near Mendocino County. California’s Highway 1 sweeps, dives and rises while the white waves of the Pacific, not being so pacifico when we passed, rolled onto the beaches near Fort Bragg. 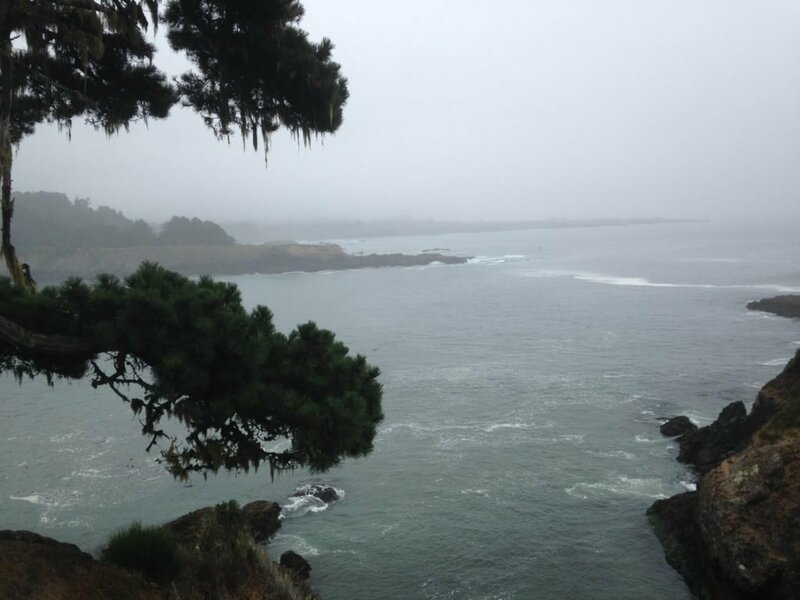 The Mendocino County region may be more known as having a reported half the population engaged in growing marijuana, but just inland you will find some great wine after camping in redwood country near the Oregon border. Here California’s golden hills swell up from the Pacific, the leading edge of its great wine-growing regions. Nearby sites along Highway 1 looking over the Pacific headlands (great views, but it’s almost always windy), include Van Damme State Park to the south, or the redwood groves of Hendy Woods State Park or Navarro River Redwoods State Park a bit farther inland. And, speaking of Navarro, wherever you land, get ready to sip and spit the next day at a winery that won’t disappoint. Denise outside the floral Navarro vineyards tasting room. Southeast of Russian Gulch on California 128, Navarro vineyards occupies part of the eastern Anderson Valley’s picturesque hillsides, just north of the community of Philo, population about 450. Growing grapes since 1974, its Riesling was among the first to bring international acclaim, but samples of all its varietals, from its juicy zinfandel to subtle pinot, deserve a definite linger in its rustic-looking tasting room. 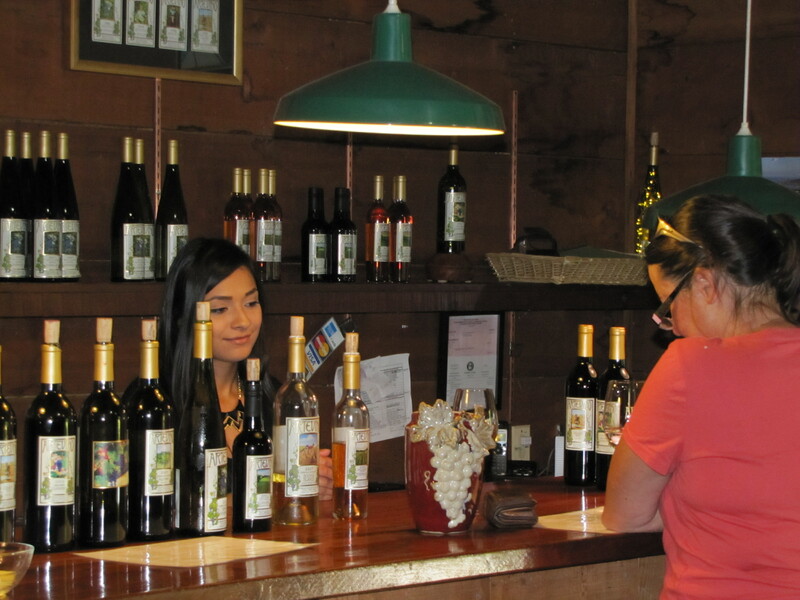 About two-dozen other wineries dot Highway 128 between Navarro and Yorkville. More are along U.S. 101 inland. Pick up the guide, “101 Things To Do In Mendocino County, including the “skunk train,” offering scenic trips through redwood groves along The Nyo River and Pudding Creek. These are arguably California’s two most famous wine-producing counties, sporting multiple growing regions, with some definite favorites. Because of their fame, expect to pay more per bottle, and more to taste. 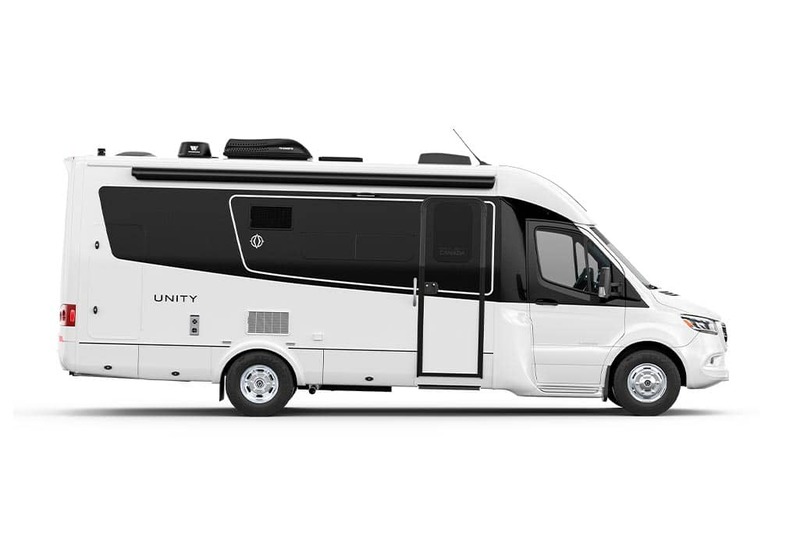 These two counties are so popular, you can park your LTV at a campground and book a mini-bus tour to several to get started, so you also won’t have to worry about over-imbibing. The campground we headquartered at to tour both counties was perfect from every standpoint. I usually prefer state and national forest camps instead of modern ones, but the San Francisco North/Petaluma KOA is outstanding. The best KOA I’ve ever pulled into, period. Want the comforts of a nice pool? Check. Daily tours of San Francisco leaving right from the campground May-October? Check. An outdoor kitchen for your use? Special themed meals on occasion? Check. Kid’s programs? Yup. And bike rentals and wine country info? That, too. And while the campground is near Highway 101, highway noise is non-existent. This KOA treats you nice, from the widely spaced full hook-up sites to those with water/electric only. Staff are friendly, and restrooms kept spotless. We picked site 222, close to the site near the ultra-clean restrooms, and with plenty of internet bandwidth, plotted our two-day spree across the two counties that most of the world knows California wine by. First, and closest to the coast, Sonoma. Again, where to start? Best advice? Ask check sites like the Sonoma Tourist Guide and information from Sonoma County Tourism. 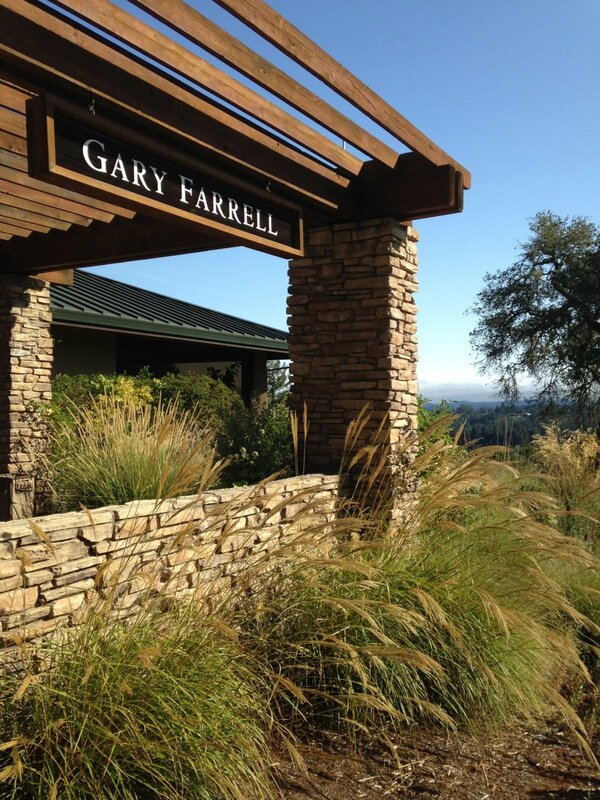 An aerie perched atop the Sonoma hills southwest of Healdsburg, Gary Farrell Vineyards & Winery is one of the county’s most picturesque. Reached by a steep, winding road that’s a challenge to larger RVs, the winery is perfectly positioned to visit in the afternoon to sit on the patio sipping its boutique golden chardonnay or its fruity prize-winning pinot noir to watch as the raptors ride the upswells above the Russian River below. Stunning. It’s not owned by Farrell anymore, who cashed in and moved on to found the boutique Alysian winery in the Russian River Valley, but its newest new owners have brought the label back. Both are definitely worth a visit. At Dashe Cellars, also near Healdsburg, you’ll get more bang for your sipping buck because its tasting room is part of the Family Wineries of Dry Creek, a cooperative of six. Among Dashe’s offerings are several great deep zinfandels including a Zin dessert wine. 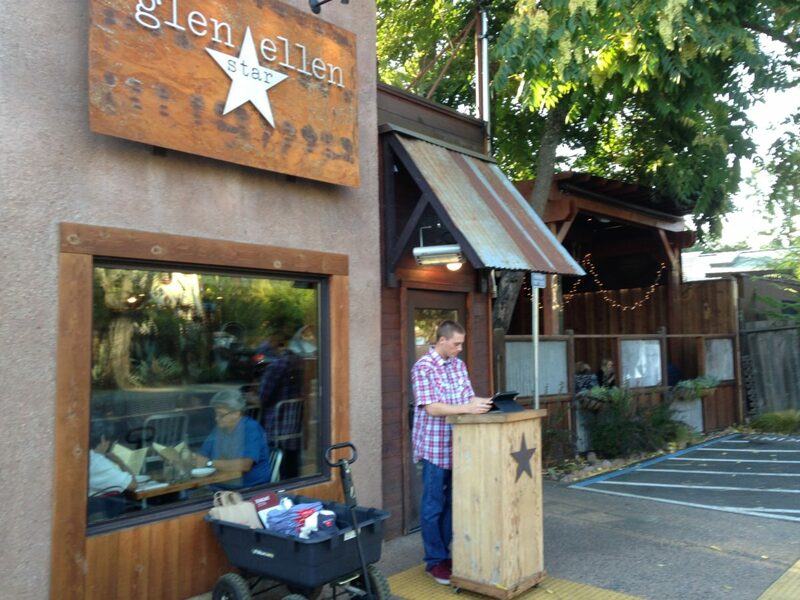 The entire region near Santa Rosa to Healdsburg is your tasting room. Known collectively as the Wine Road, there are so many wineries along its two-lane highways like CA 128, and 12, it boggles the mind. The farther one gets onto roads like West Dry Creek, the narrower the roads get, so take care around those blind corners. For a wine nut, as the slogan says, The Wine Road is truly Heaven Condensed. Among the wineries to visit: Paradise Ridge, reliable big producers like St. Francis, Kendall-Jackson, Clos Do Bois, and Chateau St. Jean. and smaller outlets like Jordan, Imagery, Dutton Estate, J, Gundlach Bundschu and other labels you may never see outside California. Leave the KOA and head west to the coast for some truly memorable experiences like restaurants of Bodega Bay, where Alfred Hitchcock chose as the setting for his famed movie, “The Birds,” along with tiny, worthy eateries like The Glen Ellen Star, in Glen Ellen, and for great food and accompanying prices, John Ash & Co. in Santa Rosa. And, if you can’t get into the KOA, there is great camping here or inland above it all spots like 49-site Sugarloaf Ridge State Park 1,200 feet above the valley. The road up is definitely twisty, and at times you wonder where you’re going, but it’s definitely worth it. Watch for that tiny bridge I mentioned, too. Only 15 miles east from Sonoma, if pinot, chard and zinfandel are kings in Sonoma, Cabernet holds court in Napa, the county most people think of when they think of California wine. It’s the priciest county to visit due to its tasting room fees and bottle prices that sometimes are higher than at wine superstores like Total Wine and BevMo. The same rules apply here as in Sonoma: twisty roads. 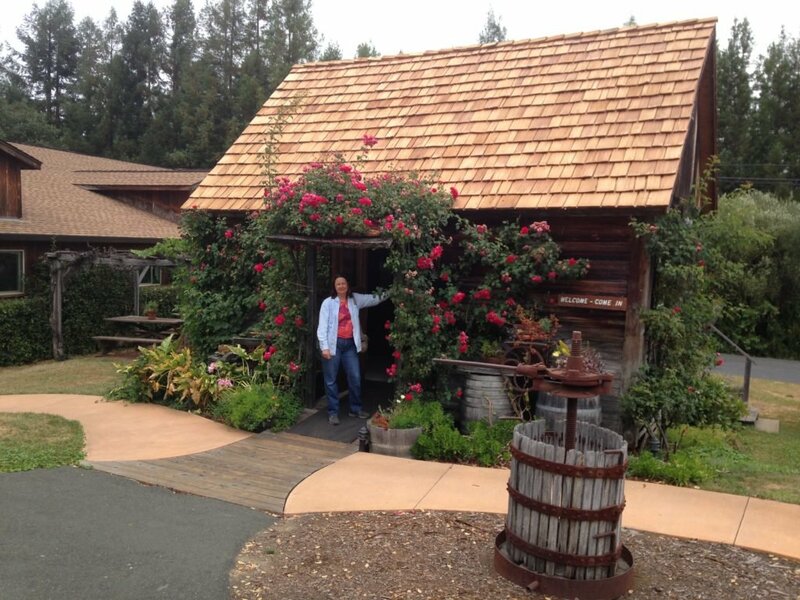 But along St. Helena Highway, wineries are easily accessible. Orin Swift Cellars is a must. Varieties like The Prisoner, Saldo and other blends are feasts to the taste buds. Also hit Heitz and Merryvale, among others here. In the shadow of famed Atlas Peak, make an appointment at William Hill, and also stop for tasting in the Stags Leap district at Shafer, Sinsky, and for zin, Biale, all along Silverado Trail, or pick from the scores of others along neighboring California 128. Welcome to the undiscovered country. Centered around the small town of Plymouth, you’ve entered what Sonoma and Napa were maybe 30 years ago. In other words, fantastic wines at reasonable cost, especially zinfandels. 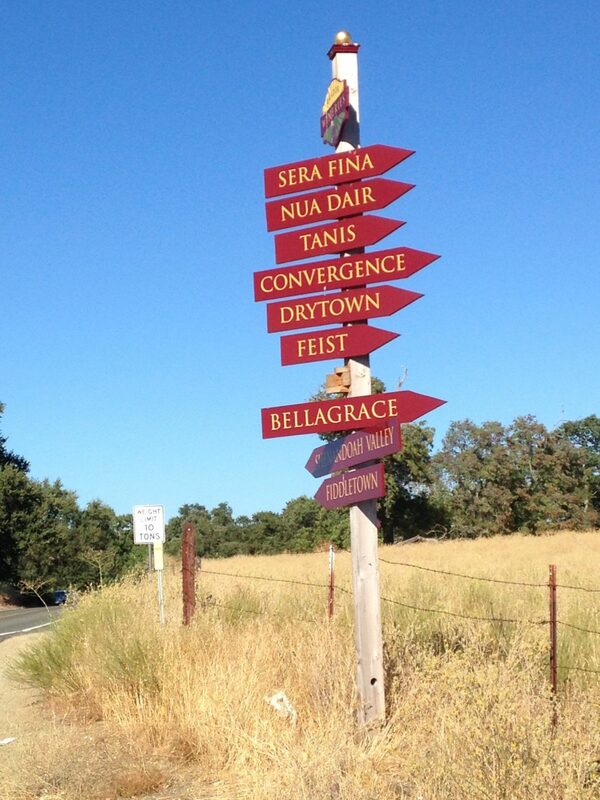 Signs like these will point you to wineries all across California’s wine growing regions. 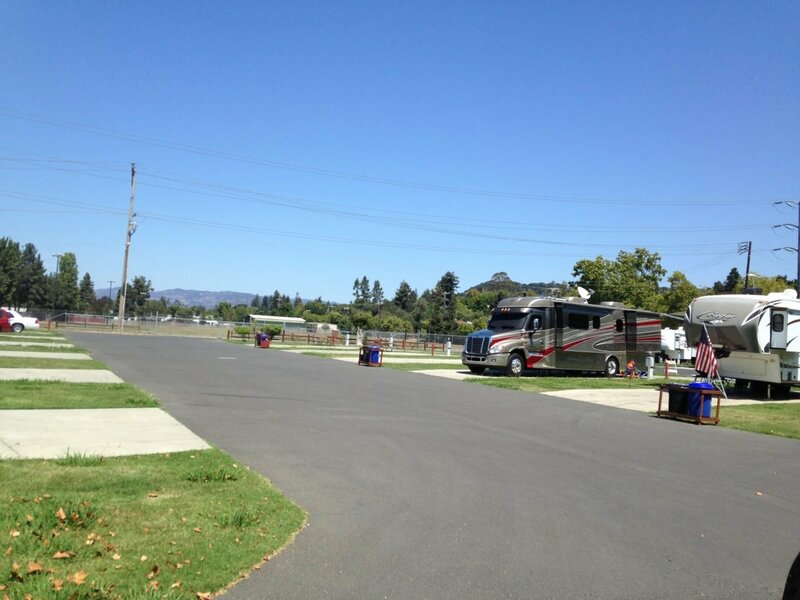 There are at least two campgrounds within shouting distance of “downtown.” The Far Horizons 49er Village, a Good Sam park along CA-49 outside town, or Gold Country Campground farther from this county’s mother lode of tastings. Both offer loads of amenities, however. Denise samples wines at Young’s in Amador County. Must-stops here include Jeff Runquist Wines, one of my all-time faves, where that caramel-like Petite Syrah is casked. Just down the road, Renwood Winery, which seems to have regained its former prominence, Young’s, sporting especially beautiful labels, foretelling what’s inside each great bottle, and the northern outpost of famed, and expensive, Turley. Deaver is definitely a sleeper as well. You’ve got almost 40 more to choose from that occupy the rolling hills here. Here’s another county, in somewhat southern Cali, that also deserves attention for great, often overlooked wines in the rush to Napa and Sonoma. The roads again twist around the live oak and vineyard-covered hills, and at the end of each are some true gems. Justin Vineyards is one of the best, and Opolo is one of those that, when you taste, you immediately sign up for its wine club. There are great camping possibles here as well, from Morro Bay State Park, to full service state parks like Wine Country RV Resort. In fact, you’ll want to sign up for many of these. Just check to see if they can ship to your state. You’ll then have access to these unique wines all year long, including those you cannot buy beyond the winery gates. That’s my primer to wine country camping. My favorites may or may not become yours. But it sure will be fun to see! Check out all the wineries online, or through each county’s visitor bureau. They’re great resources for sipping as well as camping. Here are a few sources: camping in Sonoma County. Amador County. In Paso Robles region. Napa County. And don’t forget Harvest Hosts. It costs to join, and most don’t have hookups, but it’s also a great resource. If you’re planning other California park stays, be aware that some more popular parks in the redwoods now limit RV lengths to 25 feet. In other words, you may want to/have to leave your tow vehicle parked outside the gates. Some of the roads in Sonoma/Napa and Paso areas are recently twisty and tight. Some may want to consider renting a car or using a tow vehicle instead of piloting even a nimble LTV.